Fashion Maven... Mommy: New Year, New Confidence In Your Skin! New Year, New Confidence In Your Skin! This exclusive four-piece collection features two of your IT Girl™ skincare must-haves, plus two new game-changing innovations that deliver life-changing, skin-transforming results! 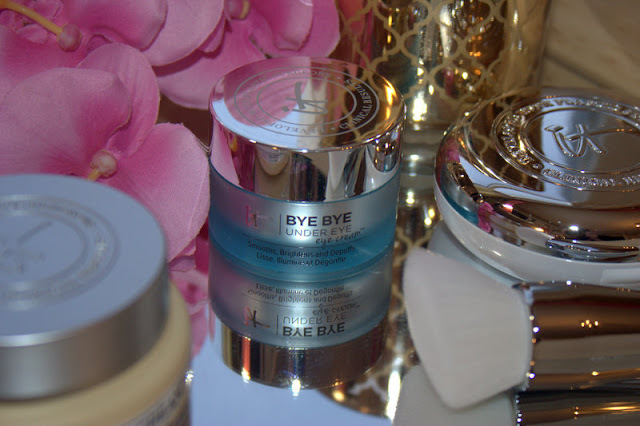 While new Bye Bye Under Eye Eye Cream™ is your solution for a smoother, brighter-looking eye area, Confidence in a Cream™ intensely hydrates and is perfect for all skin types! Also included is your new Confidence in a Compact™ with SPF 50+, which features all the benefits of your best-selling cream—infused with full-coverage pigments and SPF 50+ physical sunscreen for all-day complexion perfection. Use your new Heavenly Skin™ Skin-Smoothing Complexion Brush for flawlessly even application and get compliments on your skin, not your makeup! 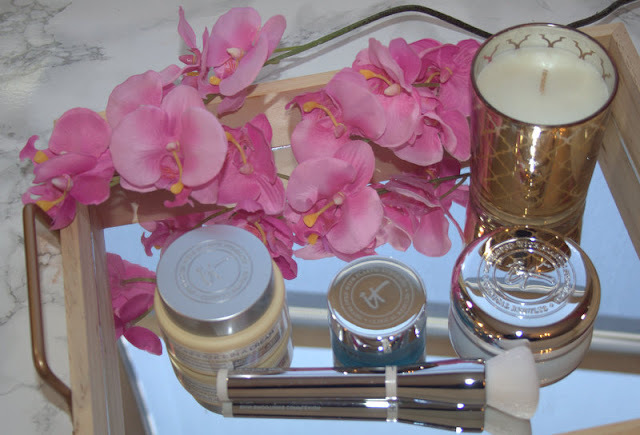 Personal Experience with these products - As a beauty blogger, i'm very fortunate to be able to try out lots of amazing products. On that note, it's also quite difficult to ever finish a product completely because i am only one person. Having said that, i'm on my second Confidence in a Cream and when i tell you is scooped up every last ounce of product off of the first container! It's that good! My skin responded so well to this moisturizer! In fact, i have combination skin and during the Winter months, i have a tendence to get a few dry patches. 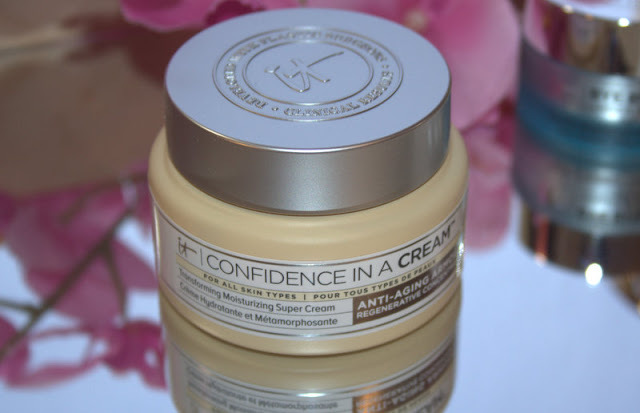 Well, i'm happy to say that i have yet to have any dry patches since using Confidence in a Cream (or as i like to call it MAGIC in a cream)! Another product i've been using religiously for the past two months is Bye Bye Under Eye Cream. 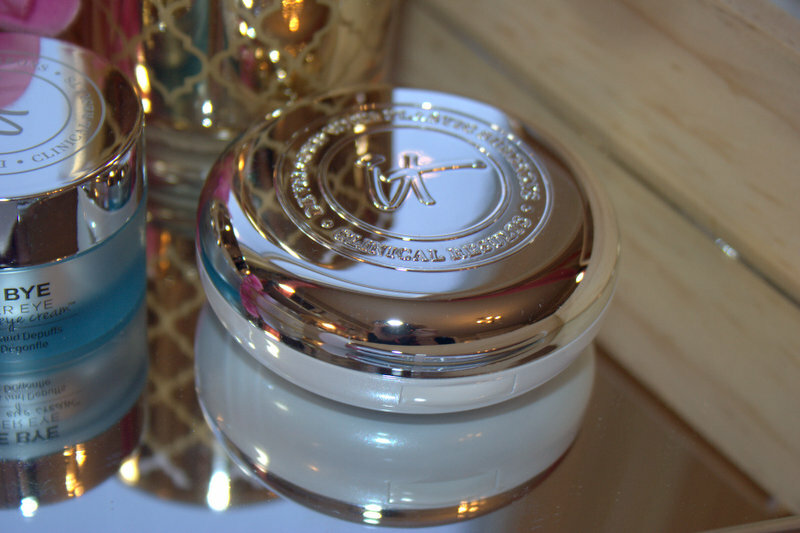 This cream is so gentle on the delicate skin under my eyes yet is such a powerhouse product! 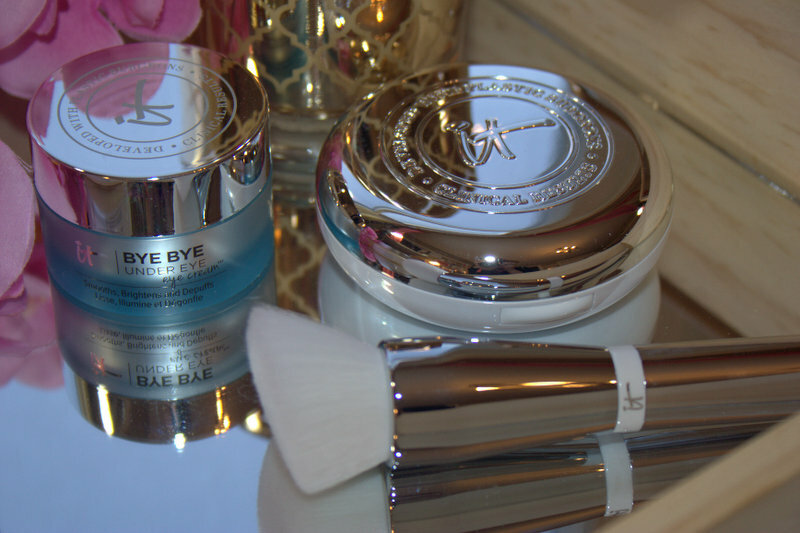 Combined with Confidence in a Cream, these two products are miracle workers! Now let's chat about the new Confidence in a Compact with SPF 50! My first impression.... WOW! I don't know why but i was expecting a cushion foundation of sorts but it's SO MUCH BETTER than that! It's an anti-aging solid serum foundation infused with pure color pigments and SPF 50 broad-spectrum sun protection. The application process is mess-free and seamless. One of the factors that i was majorly impressed with is how light-weight it felt on my skin yet covered beautifully! I could see myself reaching for this quite often because of the ease of application and effectiveness! 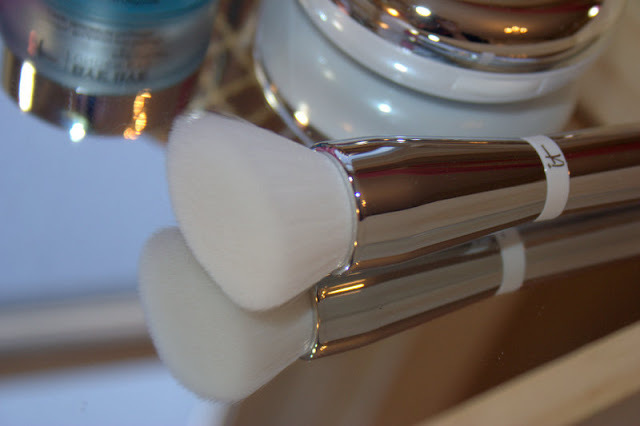 Like all IT Cosmetics brushes, the Heavenly Skin-Smoothing Complexion Brush blurs the product flawlessly into the skin leaving you with an airbrushed, smooth look. This beautiful four-piece set will be available today only on QVC for a very special price! Don't miss out on this great deal! 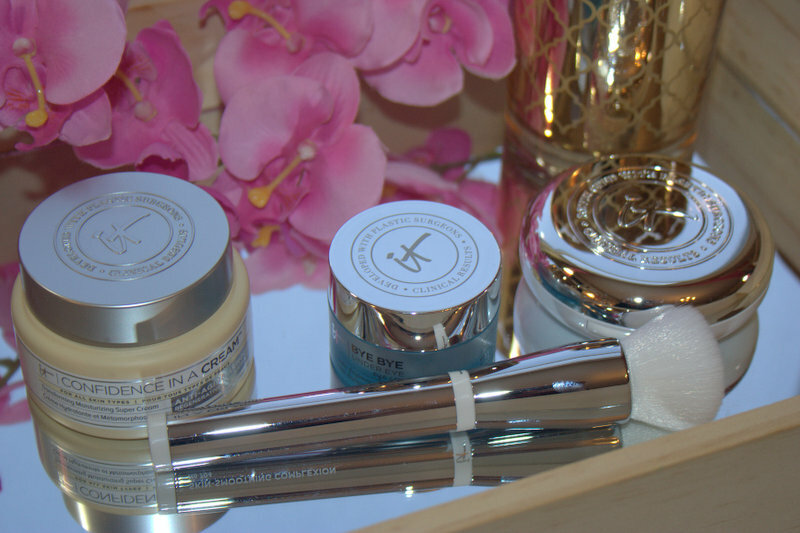 Your skin will thank you for it! Thank you so much for reading!